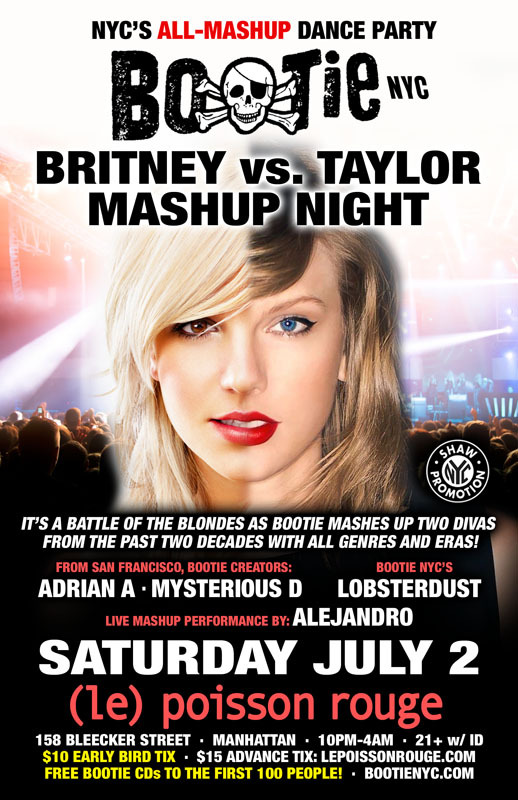 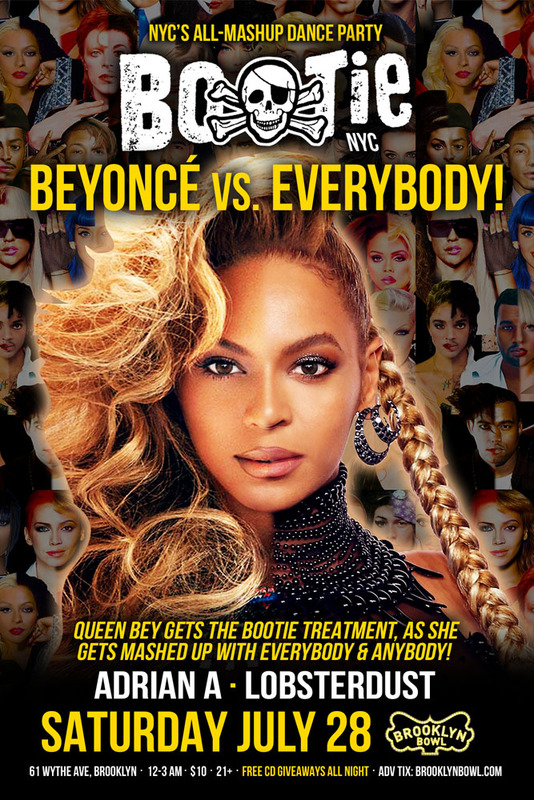 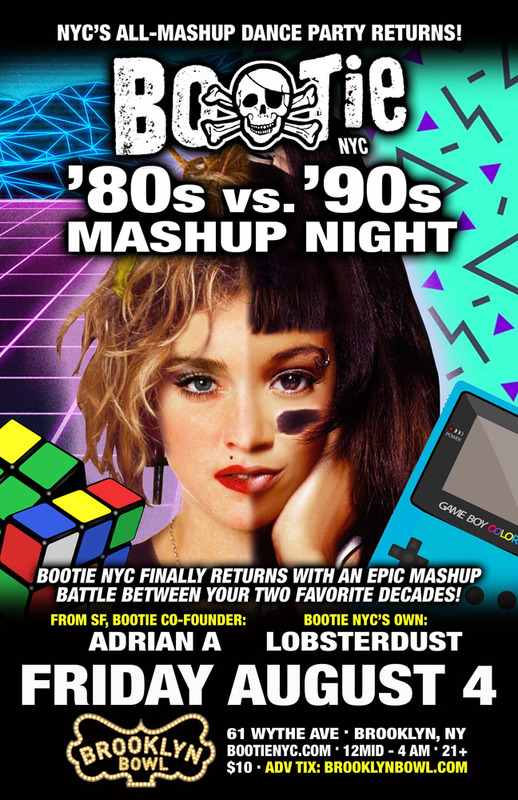 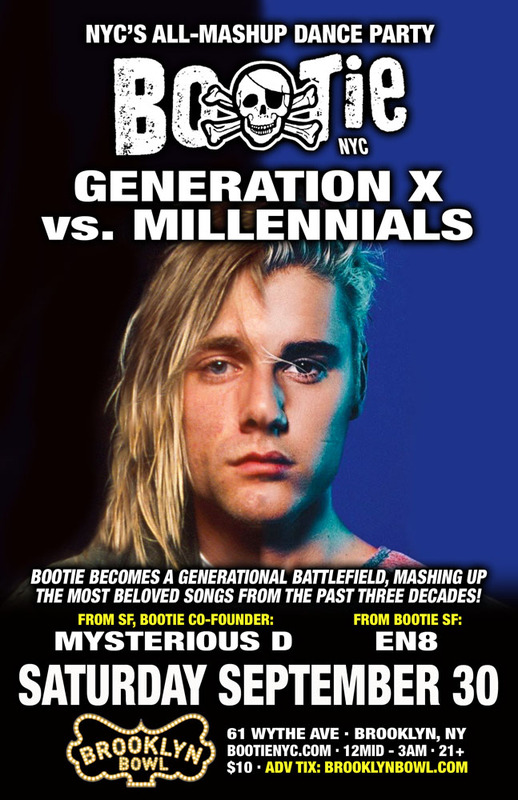 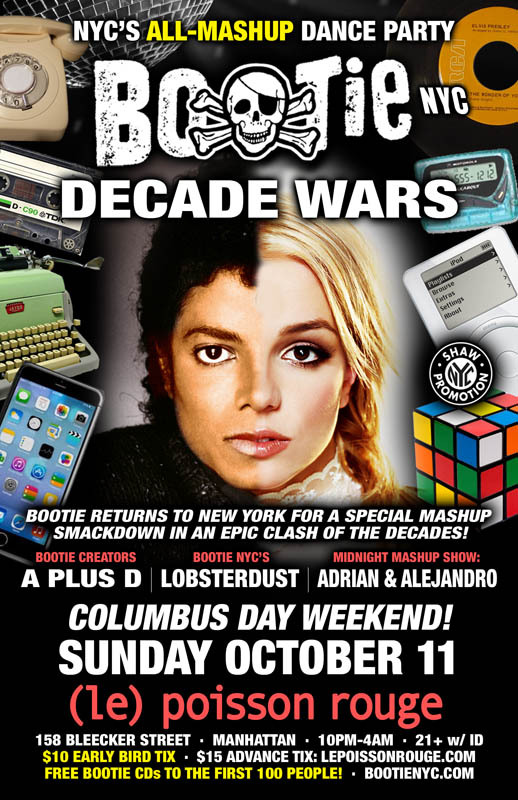 Bootie NYC resident DJ Lobsterdust takes your favorite music from the ’90s -- from Nirvana to Prodigy, Snoop Dogg to Backstreet Boys, Spice Girls to Alanis Morrisette, and beyond – and mashes them into mixes to keep you dancing all night long. 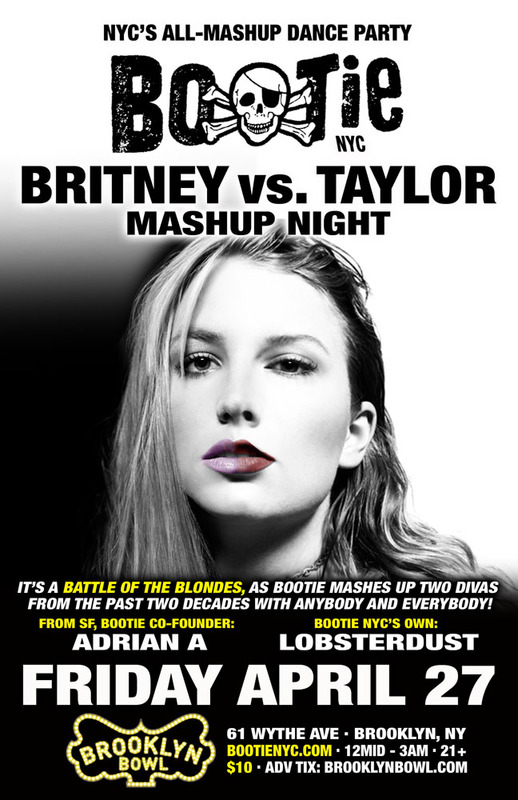 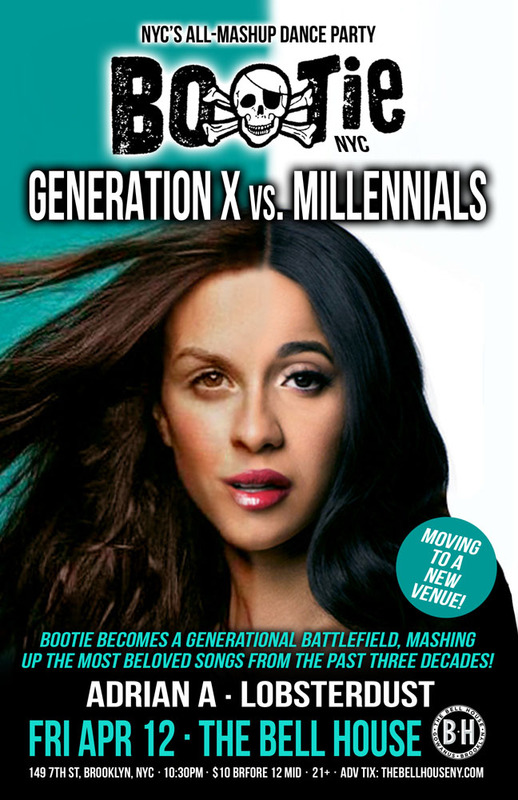 Bootie NYC – Bowie vs. 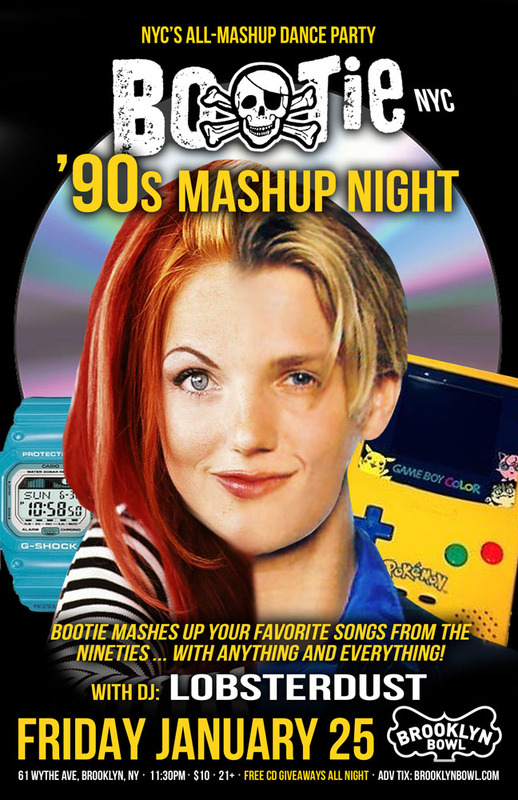 Prince Mashup Night!